Frenzie like all your approaches to the BLUES! Love this album. Frenzie, you are the Blues Man! I always enjoy listening to your playing, and this album is really nice to listen to! Well done. 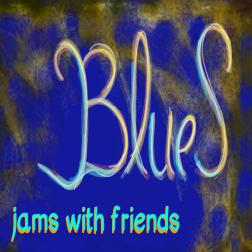 Great album, great blues and great friends. The miracles of Wikiloops. Thank you Tom for this wonderful gift. Great pleasure to find all these lovers of Tom's good Blues on this album. Continue to offer us this unique Blues which you know so well how to make !!! "Many thanks for creating this amazing site,its every jammers dream,so many great musicians to record with. Thanks again. "